Watch the Keynote at Apple, or just read on for the summarised version of what you need to know. The iPhone 5C is just last year iPhone 5 model, with an improved front camera, colorful plastics, and overall slightly thicker in size. Really, nothing too fanciful, and the C definitely doesn’t stand for cheap, with only US$100 lesser, or S$140 off the rack price. Would the rebranded phone sway enough budget buyers from the mid-tier Android phones? I’m not convinced. In fact, if you are in the market for a new iPhone, I would definitely go for the 5S. Even though improvements are slight, at least, the new features such as the fingerprint sensor and upgraded camera would be pretty useful. I can see how having the fingerprint sensor would help improve user-friendliness by reducing the need to key in a passcode. In fact, most people use a standard 4 PIN unlock code, which can be easily copied by an observant bystander next to you on the bus / train. The iPhone has always had one of the best smartphone cameras, and Apple is hoping to keep that primacy. While the 5s still bears an 8-megapixel camera, Apple’s new f/2.2 aperture sensor is 15 percent larger than the previous one, and a redesigned flash can blend its two LED lights to preserve a scene’s natural color balance. Apple has paired the hardware with a series of software features, adding things like a 28-megapixel panorama creator and a “burst mode” that captures a series of pictures and picks the best one. Today’s demo also showed improved visual performance of the camera. Apple has also confirmed the weirdest rumored feature of the iPhone 5s: a fingerprint sensor built right into the home button. Called Touch ID, it’s a substitute for the traditional PIN or password, with a thin capacitive sensor layered on top of the button. While the obvious use is unlocking your phone, it can also be used to verify purchases and can handle multiple fingerprints from different users. In light of the current fears about data security, Apple’s promising the fingerprint will only be stored locally; the company says you’ll never see it uploaded to iCloud or any other Apple server. The new iPhones arrive September 20th. Pre-orders start from 13 September 2013, (Friday) at all the major telcos, Singtel, Starhub, and M1 at their respective sign up pages. Singtel link below and the rest to be updated soon. Alternatively, you can also buy iPhone 5C/5S direct from Apple, which is probably the best way way to secure a new iPhone for those planning to buy without contract. 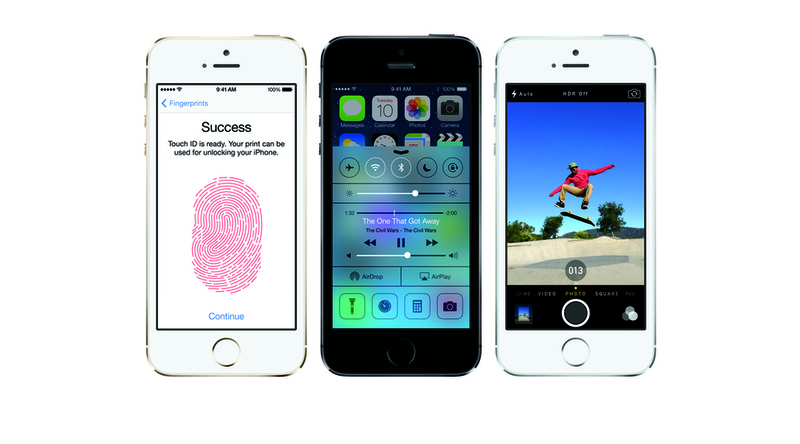 For existing iPhone 5 users, you can upgrade to the latest iOS7 from September 18th.